The reach and potential of cybercrime grows with every new device that’s connected to the internet, and with every industry that moves to an online platform. 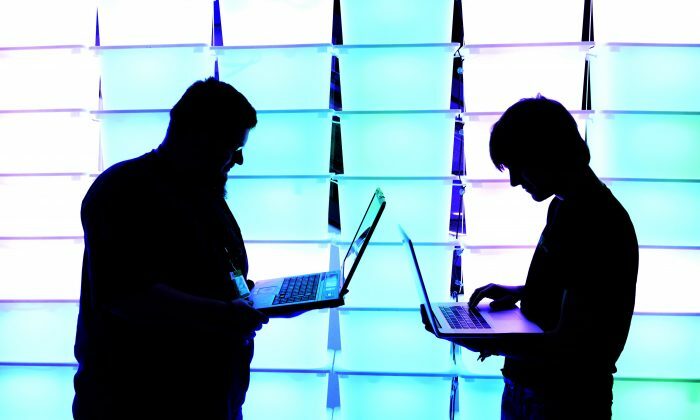 Cybercrime is no longer just about corporations losing intellectual property. Today, it’s hospitals having their equipment locked by hackers until a ransom is paid; it’s hackers being able to seize control of cars while we drive them; and it’s our personal information being sold online to the highest bidder. Deputy Attorney General Rod J. Rosenstein said at the Cambridge Cyber Summit on Oct. 4 that the cost of global cybercrime is expected to grow from $3 trillion in 2015 to $6 trillion in 2021, citing research from Cybersecurity Ventures. Rosenstein also noted that as he spoke, the United States was dealing with “one of the largest breaches ever of a private company holding sensitive financial data” after 145 million people were affected by the breach of credit-reporting agency Equifax. Virtual terror is a much broader definition, he said. It encompasses anything related to digital snooping, stealing, creating war, causing damage or harm to individuals, businesses, governments, or groups. “When you have 145 million people who have essentially had their identities breached, that impacts so many aspects of their lives,” Wagner said, referring to the Equifax breach. Wagner noted that when it comes to technological developments, the world is teetering between the glossy, high-tech future, and the nightmarish digital dystopia. The problem is that we’re pushing more and more of our lives into the digital space, and allowing technology to play a greater role in managing our lives and societies, but the security and protections of individuals are not keeping pace with developments. “It seems to me like we’re at a pivot point. It’s very bad, but not so bad that we can’t turn the tide,” he said. Some companies are now looking at biometric fingerprints or facial recognition to work as passwords for devices. While these technologies seem flashy, however, Wagner noted that unlike the current passwords, your face and fingerprints are relatively permanent—if someone steals them, they have access forever. He noted cases in Japan, where Japanese police have uncovered at least nine instances where Chinese citizens had surgically replaced their fingerprints to take on someone else’s identity. Some of these individuals even went to Japan and married Japanese people who thought they were someone else. Even when it comes to the helpful technology—the type that doesn’t cause us direct harm—if we become overly reliant on it, what’s the impact if a virtual terrorist suddenly disables the system? Many nations already have capabilities for electromagnetic and energy-directed weapons for this purpose. The shift that needs to take place is something that is often heard among circles within the cybersecurity community, but that rarely echoes beyond it. We need to move from reactive security to proactive security. Wagner noted some of his own experiences when he had his identity stolen while living in Singapore in 2002. He received a call from CitiBank saying he owed them $22,000 for two credit cards he never took out. He’s still left guessing what happened, but knowing the cybercrime industry he said it’s likely he handed his credit card to a waitress at a Singapore restaurant—at a time before credit cards had the three-digit codes on the back—and she passed the information along to a network of criminals. Today, crimes like these are even more common, and much more sophisticated. Some cybercriminals, he notes, will steal 50 cents from each person—a small enough amount that almost none of them will detect it, but from a large enough group of victims that the hacker can live a life of luxury. If more people understood this threat, he said, maybe they’d be more cautious of handing over their credit card data. And if people started becoming more cautious, maybe the banks would also be forced to change the way they work. “Most people, they want the newest, latest, most expensive gadget, which simply opens them up to a greater possibility of having problems, but they don’t think about that,” Wagner said. “Now that millions of Americans have had their identities breached, until it affects their pocketbooks they’re not going to do anything,” he said.